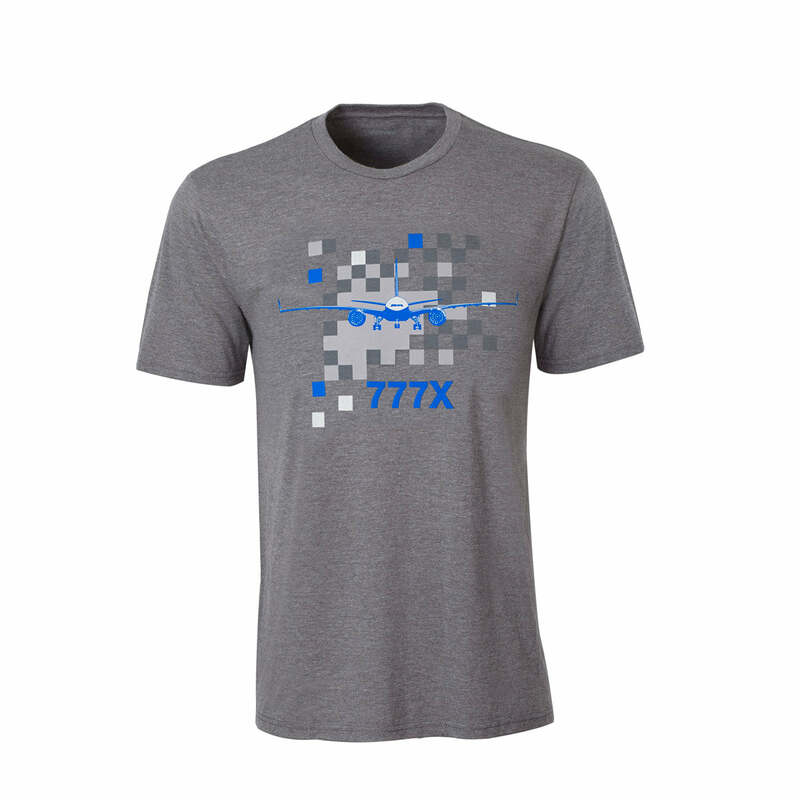 Show off your favorite Boeing aircraft -- shown in a grayscale pixel graphic on the front of this T-shirt -- at the gym or a party (it's a great conversation starter). This 4.5 oz tri-blend tee is styled with 50% polyester/25% ring-spun combed cotton/25% rayon; a 1 x 1 rib knit neck; and shoulder-to-shoulder taping. Color(s) available at the Boeing Store: Gray/accent colors vary per shirt. Chest 35-37", Size S; 38-40", Size M; 41-43", Size L; 44-46", Size XL; 47-49", Size 2XL. Imported.